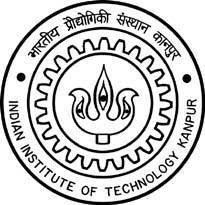 Indian Institute of Technology, Kanpur Published Recruitment Notification for Senior Project Manager and Deputy Project Manager Posts. Qualification : Post Graduate Degree + 12 years Relevant Experience Or (CA / ICWA / CS) + 5 years Relevant Experience of Supervisory Work in a Government Office or in Educational Institute or in Business Organization of Repute. Qualification : CA / ICWA / CS Or Post Graduate (MBA / MCA / M.Com. / M. Sc. / MA) + 5 years Relevant Experience Or Graduate (B.Sc. / B.A. / B.Com. / BBA / BCA) + 8 years Relevant Experience at Appropriate Level. How To Apply : Intrested & Eligible Candidates Can Send Resume With Self Attested Copies of the Educational Qualifications and Experience to NPTEL Office Room No. R-6 at The Media Technology Center by 16th March, 2017 by 5:00 pm.